I think it’s fair to say we have all been in the position of learning something way too late in the piece, when it’s too late to stop the wheels from turning, or to kill a bad idea dead in the water. We say ‘damn, if only we’d known X or Y, then we could have…[insert gained opportunity, risk reduction, saved time/money here]’ and then continue on our way. A lack of broad communication, a lack of transparency, and ignorance of impact have meant a lot of wasted opportunity across organisations. Let’s call these ‘If only’ moments. We hear that practices to optimise how we do our best work, such as Lean or Agile methodologies, will help clear this all up, creating the ultimate in organisational transparency. And yet, so many supposedly ‘Agile’ organisations still continue to be surprised when these ‘If Only’ moments continue to happen. One reason I have noticed is that many don’t understand what ‘being transparent’ means, or the importance of it. Let’s delve in to what transparency in action can bring to squashing the ‘If Only’ moments. What does transparency mean in action? Many times when an ‘If Only’ moment happens (if it’s one of those ones that was not a great idea), it is because the thought process was flawed in some way, due to making the wrong assumptions, not asking the right questions, or deciding things with no data. Openly talking through the thought process that got you to the next point with others helps validate the approach early, and brings more of the details to the table. A second point to this is, when people are asked to do something (build a thing, use a thing, prioritise a thing, as examples) and they don’t understand what led to the decision, they often disengage, waste time validating the reasoning, feel disempowered or resentful of the decision maker. Whenever you need to articulate a decision, be prepared to show your thought process and be challenged on it. When an idea or work is only being shown once it’s looking great, fully planned or about to be delivered, there is limited or no ability to adapt to feedback. This brings about the ‘If Only’ moment of having to go through with something because of the time already invested in it, no matter whether it is a good idea or not. We need to protect our time as an investment, and only do what we know is valuable, and that means showing your work as you go, so you don’t paint yourself or your organisation into a corner. So many mistakes have been made based on people making assumptions. I have had many retrospectives with people that started with ‘We assumed…’. Our unconscious biases mean that our assumptions become 10 layers deep without us even realising it. We can’t work with all facts known as this slows things down too much, but it doesn’t mean we need to assume everything either. We need to validate any assumptions as quickly as possible, and document the remaining assumptions explicitly. This will mean when people have either forgotten due to time passing, or changes to those assumptions happen, the original idea can still be found. We can also never assume people are hearing the same thing when you are discussing it. Explicitly talking through and documenting expectations mean people can gain joint clarity. This one seems obvious, but often it turns into an anti-pattern of constant conflict, or that all ideas are always valid and should be heard. What it should mean is conversations happen in front of others, not behind closed doors. It means open Slack channels instead of private ones. It means discussing positive and negative things, having constructive disagreements, and showing vulnerability in front of others. This takes a high trust environment and a culture of acceptance to work well, and to have it be in the DNA of the company. When people talk freely and often about what they are doing, others can spark even better, more creative approaches or ideas. It makes a lot of sense to have more than just your own brain thinking on this stuff. Others’ experience brings a different perspective, new thought processes and a diversity of thought you wouldn’t otherwise have. I prefer a ‘No surprises’ policy, which means anyone can understand what is being done at any point of the journey, and who is doing it. This shouldn’t take writing a five page report on it, but should be transparently available for whoever needs it. Whether it’s one place that holds the context, or multiple tools that have clear uses for each, it doesn’t matter. The goal should be anyone should have access and a clear line of visibility so they know the impact of what they are deciding to do next. Visibility does a lot for reducing assumptions before they are made. I am coining this term to encompass the reality that, we typically put our best face forward as an organisation, whereas we all have scars, lessons we have learnt, mistakes we have made — big and small, but we hardly ever lay these bare for all to see. When transparency has become ingrained in a culture, the honesty of an organisation becomes much more based on reality, and therefore means it is okay for people to be imperfect. It increases our resilience to failure, our confidence to try new things, and our ability to move forward with a higher risk profile. It increases our customers’ trust in us so they know we are not pulling the wool over their eyes. It increases our psychological safety within our team and broader organisation. It also shows our humanity, which is often missing in many organisations these days. If we can see it early, we can change what happens next. If we see it when it’s too late, we can do nothing but watch and hope for the best. Transparency stops many dumb things from happening, decreases waste, and means we can jump on opportunities much faster. An organisation can become much more competitive in a challenging market through better transparency. Decisions can be sped up as they can be done in real time in front of all, and issues can be resolved faster. We can also be continuously improving, on the fly, based on learning from things as they happen. In a transparent world, it becomes much harder to avoid the broken systems. These may be hard to change things, that have been deferred or ignored. When transparency works, it highlights these issues, and they must be dealt with, as there is no more avoiding them. For any behaviours to remain long term, systemic change has to evolve to better support the new behaviour, or it will blaze and fade out. I know, I hear you saying ‘That’s all well and good, Diana, but where do I start?’. Start where you are. Start with your next meeting. Start with your next conversation. Take one of the four things and begin with a small change in behaviour. Tell others that you are doing it, explicitly. Begin a conversation about it. Transparency comes with being overt about it (which feels weird I know) until others begin to try it too. Become an example, and look at your own behaviour first. 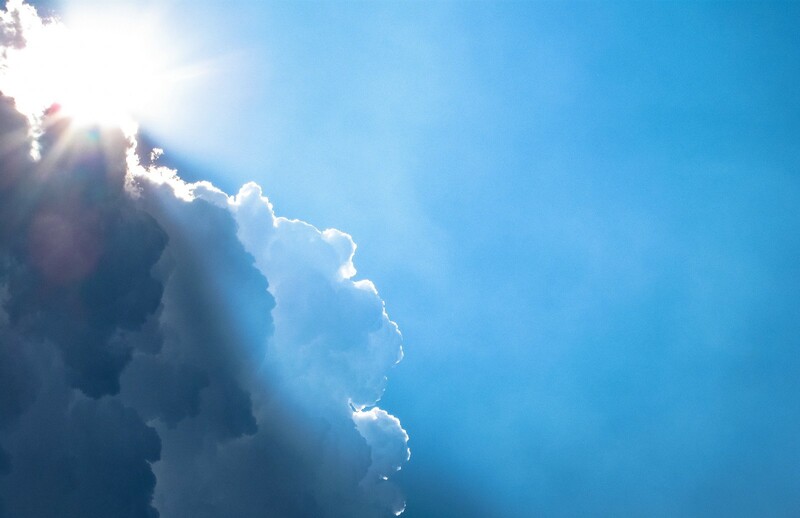 Ironically, the road to transparency begins in a very opaque, ‘full cloud’ way, but the more time spent creating some ‘winds of change’ means there will be a break in the cloud, and eventually clear skies will lie ahead.